It’s been more than a few years since recreational cannabis legalization was passed into law in Oregon. In that time, cities like Portland have experienced a dramatic influx of tourists, media attention and increased interest from local residents. Portland is a hotspot for cannabis culture, but historically hasn’t been a hub for growing. Zoning regulations, neighborhood backlash and government strong-arming make it hard to acquire Portland marijuana cultivation jobs. While major grow operations haven’t infiltrated Portland–Oregon has consistently dominated the marijuana cultivation market, along with California and Washington. In the late 1980’s, the DEA’s Campaign Against Marijuana Planting in California stifled the Golden State’s cannabis production, but simultaneously bolstered Oregon’s. From then on, Oregon has been a noteworthy region for both indoor and outdoor grow operations. As tensions between cannabis supporters and dissenters further ease in the Beaver State, it is likely that Portland will follow Sacramento’s lead and begin to allow for more citywide Portland marijuana cultivation jobs and operations. 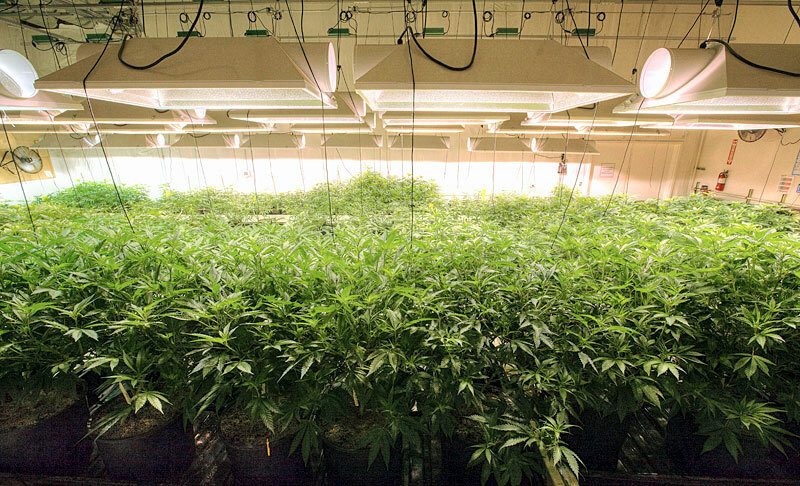 The smaller grow operations that do exist in Portland take place inside. Aside from legislative hurdles, Portland doesn’t frequently engage in outdoor growing due to inconsistent weather patterns and space constraints. Indoor cultivation is the preferred method for growers looking for a consistent yield and THC percentage. Indoor operations are often more expensive than outdoor ones, since the startup and equipment costs for setting up a controlled growing environment can be staggering. Outdoor cultivation is constantly at risk of being interrupted and challenged by uncontrolled variables like weather and disease. Conversely, outdoor grow operations allow for a more fecund yield and better protection against pests thanks to other natural predators like wasps. Ultimately, indoor grow operations allow for a more beautiful and cosmetically consistent product, while outdoor grows are preferred by those interested in sun-grown crops. The title of “Master Grower” is loaded with an expectation that the individual as an industry leader in the cannabusiness. This term describes someone who leads a major grow operation and has the most responsibility invested in crop cultivation. Master growers have years of experience growing and have earned their title through successes and failures. Master growers are in charge of overseeing a team of assistants, which can range anywhere from one or two, to five or more once the crop is reaching maturity. In addition to cannabis industry experience, many of these top level cultivators have advanced degrees in horticulture and have the knowledge to deal with a variety of potential challenges. While master growers may have the credentials to lead cultivation operations, assistant growers are integral in maintaining a successful crop. Especially in the case of outdoor and large commercial operations, several employees are needed to ensure the crop isn’t being damaged by weather, pests or disease and has the proper nutrition and watering protocol to ensure a bountiful, consistent outcome. Grow assistants may not get all the credit for the final products seen behind dispensary counters, but their dedication and dependability ensures they’ll have future opportunities to advance in the business. Although bud trimming isn’t considered part of the cultivation cycle, it is the necessary next step after harvesting a cannabis crop. When it comes to Portland cultivation jobs, trimming might be your best bet for finding non customer service related jobs that involve direct contact with weed in the city. Trimming is the process of removing excess plant matter matter from the highly concentrated flowers that are then cured and prepared to be sold in cannabis dispensaries. In order to understand trimming, it’s important to understand that cannabis fan and sugar leaves contain vastly fewer compounds like THC and CBD than the flowers. This is because cannabinoids are produced in glands known as trichomes, which are essentially little resin filled hairs that appear on the bud. Flowers also contain terpenes, which are the aromas you smell and taste when consuming cannabis. Terpenes are natural protectants from pests and attract pollinators; recently, terpenes have been receiving attention for possibly contributing to cannabis’ medical benefits. Finding Portland marijuana cultivation jobs may not be easily attainable within the city, but there are plenty of other exciting and valuable weed industry positions in Bridgetown available to job applicants. Growers may be responsible for producing a crop, but cannabis consultants help to give legal grow operations and Portland cultivation jobs the opportunity for success. Consultants run the gamut, depending on the services required, but everything from dispensaries to grow ops benefit from the expertise and legal navigation consultants offer. Perhaps the most active sector of the cannabusiness in Portland is in sales. Cannabis dispensaries have been busy meeting exponential demand for a wide variety of marijuana flower strains and products. Budtenders are positioned on the front lines of cannabis distribution, assisting medical marijuana patients and recreational customers with purchases. Budtenders are knowledgeable about all facets of cannabis culture, including legislation, strain and product info. Another post-harvest position employing more individuals in the cannabis industry is concentrate creation. Concentrates are substances created after introducing solvents like CO2 to cannabis plant matter. This process strips all of the chlorophyll and plant matter, leaving behind only the most essential cannabinoids like THC and CBD, as well as terpenes. Though not Portland marijuana cultivation jobs, concentrate creation jobs are a uniquely important position in the cannabusiness. Concentrates are often considered to be the “purest” form of consuming cannabis and produce intense, cerebral highs used to treat patients with depression, chronic pain and other ailments. Concentrates produce a more long-lasting high from just one or two doses than smoking several doses of flower. Medical patients especially have embraced concentrates, since they allow for a more streamlined experience. Oregon is one of the first states to incorporate cannabis into its regional publications. Once cannabis became recreationally legal, established newspaper, The Oregonian put out a search for a strain reviewer. In the two years since hiring for this position, most of Portland’s weekly publications have sections dedicated to weed, written by informed cannabis connoisseurs. Another avenue through which cannabis writers are finding jobs is through copywriting and content creation. Online cannabusinesses require writers to produce specific, original articles and blog posts to increase the revenue potential of a company through marketing. The exact path of the cannabis industry’s future may be a bit unclear, but recent trends point to further development in the legalization of cannabis in states across the country. The American government currently engages in a hands-off approach, leaving the decision making to the states. While a conservative government threatens the security a progressive industry, Portland marijuana cultivation jobs shouldn’t be at risk since recreational legalization has been passed. The future of the industry depends on the cannabis consumer and the work force. Be sure to keep up-to-date on cannabis progress by visiting Norml.org and searching for your location.